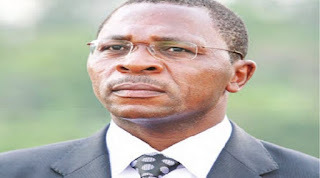 "￼...The head of state has always given Anglophones preferential treatment since 1982. This appointment is another testimony that Anglophones have always had preferential treatment in Cameroon since 1982. Paul Biya, as I have always said it, when he wants to take any major decision, Anglophones have always been in the center of those decisions. he has total confidence in English speaking Cameroonians. I don't like that word Anglophone. We are English speaking cameroonians. Thank you." Newly appointed ministers are set to be installed into their functions today by the Prime Minister and Head of Government Philemon Yang. 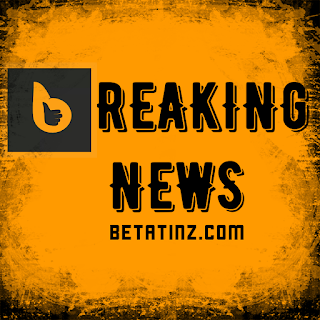 The installation of the newly appointed ministers is currently ongoing. The ceremony started at 8.30am with that of the Minister of Territorial Administration Paul Atanga Nji. It is scheduled to end at 13h45 with that of the Minister Delegate at the Ministry of External Relations in charge of the Commonwealth Felix Mbayu. 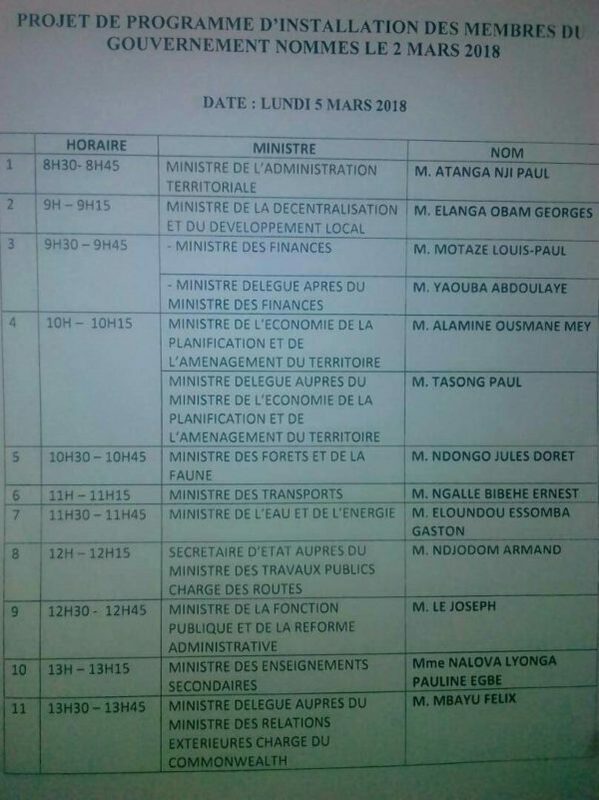 A Presidential decree signed on Friday night reshuffled the cabinet with some key positions handed to Anglophones, notably the Ministry of Secondary Education now headed by Nalova Lyonga. 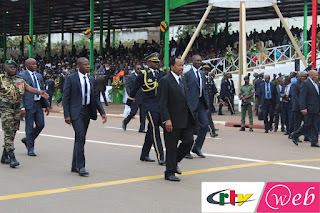 Notable exits from the Government were that of Edgard Alain Mebe Ngo’o from the Ministry of Transport, Basile Atangana Kouna from the Ministry of Water and Energy as well as Martin Belinga Eboutou from the Civil Cabinet.